Kinesiology is the science of human movement, applying the latest evidenced-based research to improve function, health and wellness of people in all settings and populations. As university trained health professionals, Kinesiologists work with individuals, groups, families, caregivers and healthcare professionals to apply the principles of biomechanics, anatomy, physiology and psychomotor behaviour to improve health, function and performance. Kinesiologists are committed to enhancing quality of life through the promotion of physical activity and workplace health and safety, the prevention and management of injury, chronic disease and disability, and the overall improvement of health and performance. 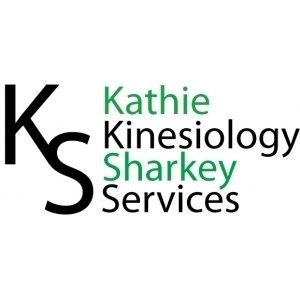 What does kinesiology mean for you? Kinesiology can help prevent and reduce the risk factors for some of the most common serious medical conditions that affect Canadians, including coronary heart disease and diabetes. It can cut the risk of heart attacks and some types of cancer significantly. Kinesiologists also help you treat and recover from injuries. The science of kinesiology builds strong bones, joints and bodies. It’s well-known that exercise and physical activity are key to a healthy life. Registered Kinesiologists are experts in exercise and the body’s motion, and they can help you move better, live longer and be healthier. Kinesiologists are leaders in the prevention of injury and chronic disease. The Public Health Agency of Canada found that “Physical activity has been shown to reduce the risk of over 25 chronic conditions.” Those include coronary heart disease, diabetes, certain types of cancer, high blood pressure, strokes, Alzheimer's disease and certain mental health conditions. Kinesiologists use exercise in the management of injury and chronic disease. Kinesiologists are case managers who empower and assist injured and affirmed clients to help manage and improve their own health and return to normal lives. From heart events to diabetes, Kinesiologists can help manage some of the most serious chronic conditions Ontarians suffer. 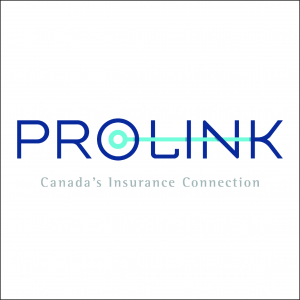 Kinesiologists also have the expertise needed to prevent and manage musculoskeletal disorders, which in past years have accounted for more than 40% of lost-time injuries in Ontario. Kinesiologists are devoted to improving performance, health, and overall quality of life. Nearly every Canadian can improve their performance, function and well-being across mental and physical parameters, through improved movement and exercise. Kinesiologists work with people of all ages and every level of function and physical ability to assess, track, manage and achieve a broad range of personal health goals. Ask your employer if kinesiology is covered by your extended health care benefits. If not, ask them to add it. Otherwise, you can deduct the services of a Registered Kinesiologist as a medical expense on line 331 of your tax return. See the Canada Revenue Agency website for details on how much of your kinesiologist’s services you can claim as a tax writeoff, and be sure to ask if your exercise professional is a registered kin.